The New Journalism movement of the 1960s was about reporting the situation exactly as it was by way of the journalist involving themselves in that situation as much as possible. This meant going in and talking to the protestors, spending nights with them in the tents, attending the entire political conference and getting to know the campaigners, becoming friends with those involved; in short, immersion. Joan Didion was one of the key writers of New Journalism. Slouching Towards Bethlehem and The White Album are two seminal books of essays that explore practically all facets of 1960s society and perfectly demonstrate the immersive and ‘real’ nature of New Journalism. Didion spent considerable time with her subjects, becoming involved in their lives and documenting everything as it was. More than anything the word ‘cool’ was associated with her and her work – her style has always been calm and slow, full of detail but only what seems relevant. She never includes the mundane unless it demonstrates her point. She is entirely realist. She brings this same style to The Year of Magical Thinking; but here something is different. This is not reportage or fiction; she is not reporting something that happened to someone else. It is an account of the year after her husband died. She and John Gregory Dunne married in 1964. He died in 2003. Except for a few months at the start of their marriage, they both worked at home. For forty years they were together pretty much all the time. There were only a few weeks here and there when one or the other had to go away for work. After forty years together he collapsed while they were having dinner one evening at home and died shortly afterwards. Dunne had had heart problems for more than ten years before his death, but this did not make the actual event any less sudden. Didion called an ambulance, they came and did what they could, they all went to the hospital and about an hour after his collapse Didion’s husband of forty years was pronounced dead. And that was it. He was gone. The quote on the back of the small white book is the opening line of the text and a note Didion made to herself shortly after Dunne died. ‘Life changes fast. Life changes in the instant. You sit down to dinner and life as you know it ends.’ The main theme of the book, if there is one, is Didion’s attempts to come to terms with those changes that happen in the instant. Her account of how she herself tried to deal with the death of her husband is calm and slow, like her other work, but this time deeply personal. During the time covered by the book their daughter Quintana is in and out of hospital with severe flu and later neurological problems. In fact she was unconscious in hospital when her father died and did not learn of his death until over a month later. Over the next year there are several times when she seems very close to death, and Didion is acutely aware of this. She wonders a lot about death and whether we can know when it is coming for us. She wonders if John knew he was going to die when he did; she examines certain things he said or certain things that happened that made it seem like he knew he did not have very much time left. She wonders if this meant something or whether it is just part of her grief, a constant asking of questions as an attempt to comprehend and understand what happened. 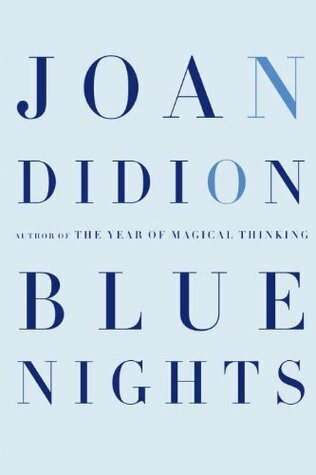 Didion is able to look back and examine not only what happened when in relation to her husband’s death but also what she did and when in its aftermath. Her ability to analyse and assess her own past behaviour is quite remarkable – it is as if she can look at her past as if it were someone else’s and through this she able to write about it as if she were reporting it. Perhaps. Either way it is quite brilliant. Her journalistic skills mean that when she ponders something she does not simply ramble or get muddled, she goes through some kind of logical pattern of thought. Even if she repeats questions or phrases – which she often does – at different points in the book, they are always brought to her mind by a different memory or question and do not seem unnecessary. 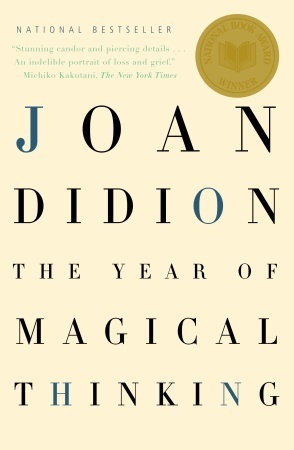 Writing The Year of Magical Thinking must have quite cathartic for Didion. She is able to look back at what happened and lay everything out before herself and the reader, to work together with the reader to try and work out what to do when your husband dies and your daughter is seriously ill. How to look back at your life and fit it together with the situation in which you now find yourself. 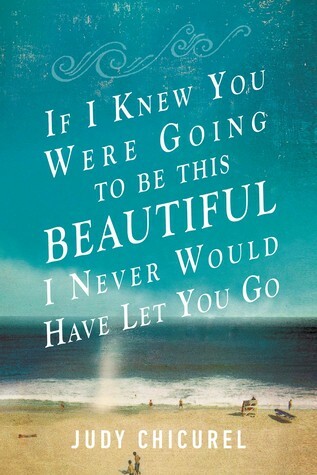 Quite simply it is a very sad but very beautiful book. Published by Knopf in the US and Fourth Estate in the UK, in 2005.